When I finished University (studying English literature), I worked hard, saved up some money and travelled round the world. I loved capturing all of the bright colours; the beautiful sunsets and the tropical jungle plants. I didn’t really know what all of different settings on my camera did, but I played around with them to get high contrast and unique photos. Looking back, I now appreciate that they were terrible photos, but I had the bug and I wanted to be a professional photographer! When I returned to the UK, I joined a local camera club. I found it inspiring, as the standard was incredibly high and the subject matter very normal. After a couple of months, I was already dreaming of warmer climates. I applied for Summer work in Greece as a windsurfing instructor for Neilson. That Summer, I tried to save up as much money as I could for a D-SLR. I re-applied for work in the Winter and couldn’t believe it when I was offered a position in Dahab, Egypt. It was then that I bought my first D-SLR from Jessops, the Canon 400D. It came with a Tamron 70 – 300mm lens, and was a very reliable camera. I found myself becoming more passionate about photography than windsurfing. When conditions were good, I was running to Baby Bay, to capture the pros. I got some photos of the UK Freestyle Champion at the time, doing a forward loop. He was keen to use the image on his website. I got talking to him and his friends, and we started arranging photo shoots early in the morning, or at the end of the day – any time when the light was soft, there weren’t many people around and it was still windy. When they used one of my photos on the contents page of Windsurf Magazine I was on a massive high! Yet the season was passing by quickly and Neilson had not renewed my contract as a windsurf instructor. Everyone wanted to work in Dahab – and I wasn’t ready to leave. All of my friends told me to try and get work as a freelancer. I remember someone explaining to me what ‘freelance’ actually meant! It all sounded great in theory, but the idea of not being employed by a company, and provided with flights and accommodation, was extremely daunting. What if it didn’t work? What if I had to go home? It helped that I knew lots of people that worked at the different windsurfing centres in Dahab, and I let them all know what I was doing. I put posters up and handed out business cards. I did free photo shoots for staff whenever they wanted me to, and it seemed to be working. I would introduce myself to guests at their welcome meeting, capture them during their holiday, and then put together a slideshow for their end of week presentation. They could then buy digital photos on a disk if they wanted. Sometimes I would get called out for photo shoots. This normally meant capturing a group of windsurfers whilst standing on a floating pontoon, in an area of water known as ‘Speedy’. Completely exhilarating. I even ended up in a powerboat in ‘Kamakazi’ one time, to catch some wave sailors jumping. And that takes me back to the point of my Canon 400D being very reliable – I didn’t expect it to still be alive after that experience! I loved my time in Dahab, but after a year, I was ready for a new challenge. I had proved that there was a demand for photography on windsurfing holidays, and hoped that this would be similar on other water sports holidays. There would be more variety in terms of the different activites to capture and I was keen to continue developing as a photographer. I contacted Neilson, and was back in Greece in the Summer. 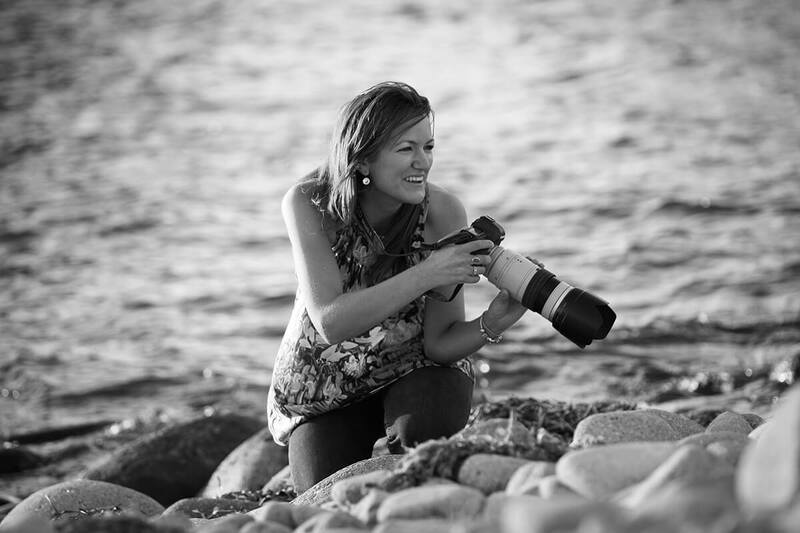 CE Photo or its parent company, Clare Edmead Photography Ltd, began in Lemnos. It was just me, with my laptop – cycling into town every night to get contact sheets printed! Now, the team is much bigger. 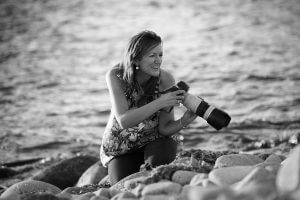 We operate in 4 countries and work with over 30 photographers each Summer. My kit is a bit better these days, but it is passion, motivation and self-belief that got CE Photo to this point.